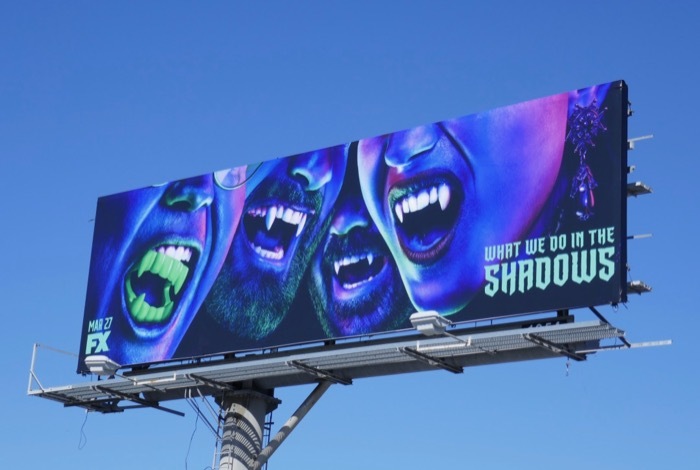 If you're a fan of fangs, bats and all things vampire, then you're in for a treat this spring with FX's new series, What We Do in the Shadows. 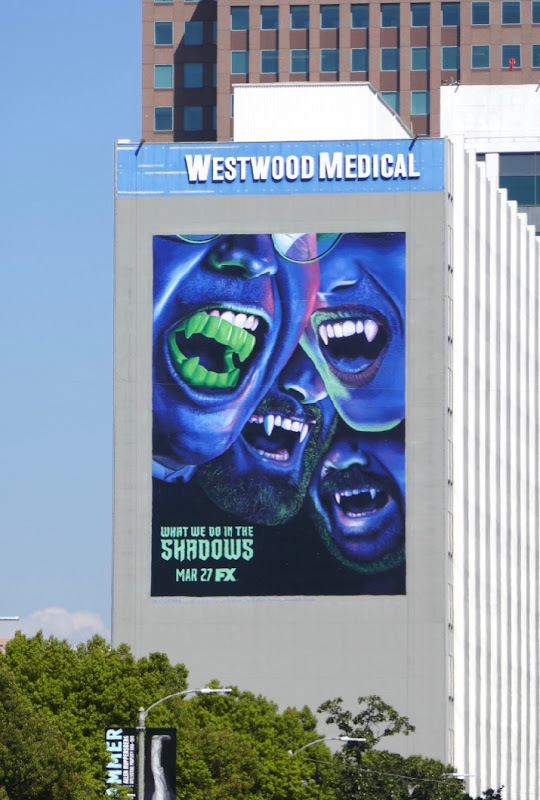 The comedy horror is based on the 2014 New Zealand mockumentary film of the same name by Jemaine Clement and Taika Waititi and follows three vampire who have been roommates for hundreds and hundreds of years currently living in New York. 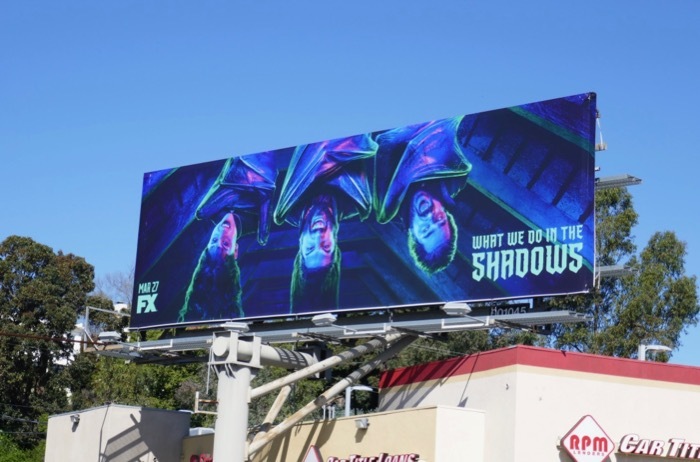 The new FX series stars Kayvan Novak ('Nandor The Relentless'), Matt Berry ('Laszlo'), Natasia Demetrious ('Nadja') and Harvey Guillen (as Nandor's daytime caretaker and wannabe vampire 'Guillermo'). 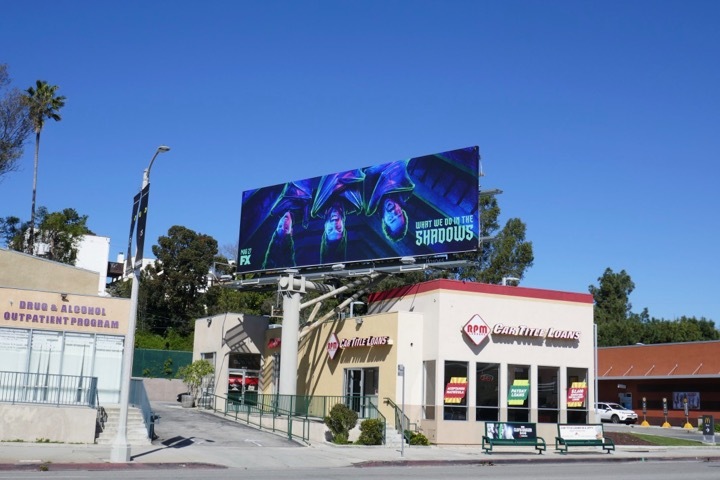 These vampiric billboards were spotted along La Cienega Boulevard, La Brea Avenue and Wilshire Boulevard from March 12 to March 18, 2019. 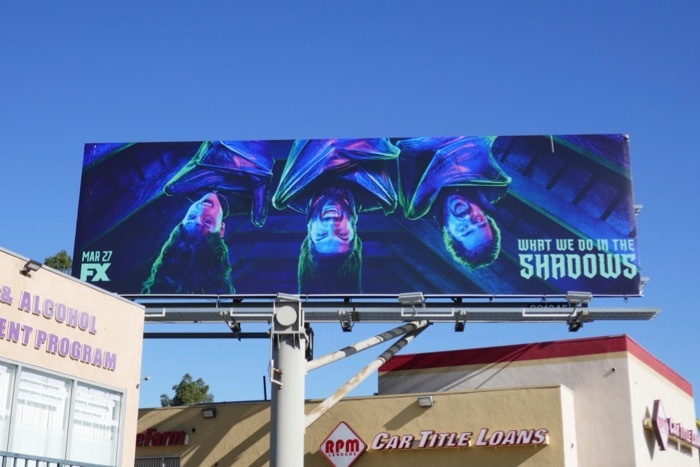 For more bloodsuckers be sure to also check out these True Blood billboards, these Dracula Untold movie billboards, these billboards for The Vampire Diaries and these Dracula TV billboards. 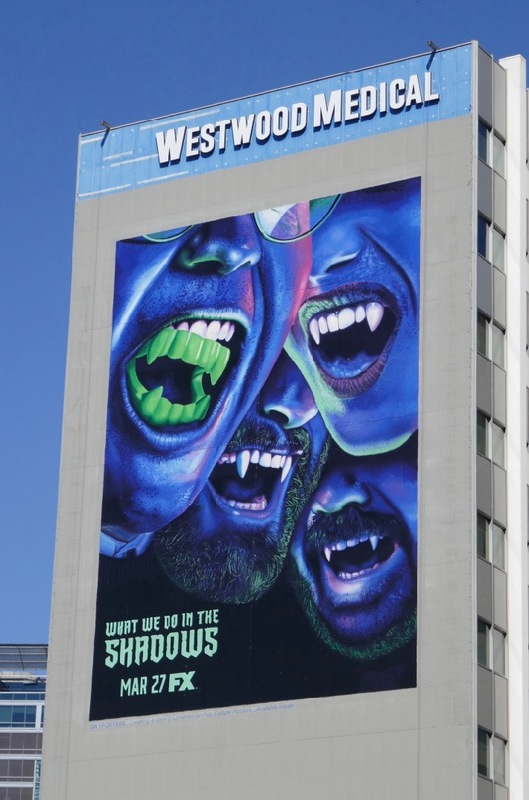 Get ready for a documentary-style look at the nightly lives of vampires, their familiars, friends and frenemies. 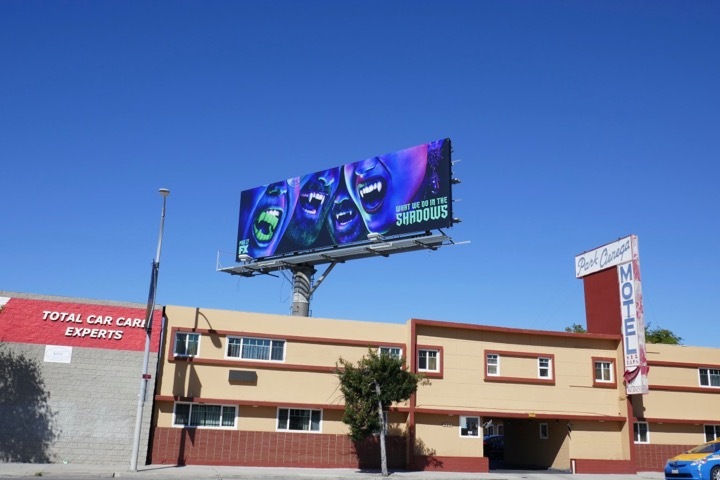 Sounds like fang-tastic fun.